As much as possible, AnglicareSA seeks to custom make services to match your needs and interests, ensuring a personalised response that reflects services available in your National Disability Insurance Scheme (NDIS) plan. However. we also have fee for service options available for those who prefer. AnglicareSA’s flexible housing and support options are designed to help people develop their independence and live the way they want to. From home based supports to more intensive 24/7 supported accommodation, we will work with you to ensure you receive the support you need and achieve your housing goals. Our experienced and qualified staff can assist you with a variety of options. Whether it’s regular planned breaks, or short term transitional accommodation, we support people with a disability and their families to achieve their goals in life. We can also offer respite to those who prefer it in their own home, by providing support staff to attend your home for designated periods, including overnights. We know that you’re the expert with regards to your mental health and our team of mental health support workers will walk with you side by side on your recovery journey. Whether it’s maintaining good mental health, improving physical health, accessing social activities, returning to work or study, or just managing your day to day living, we can work with you to achieve your goals and help guide you to live the life that you want to live. 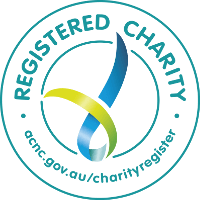 We know carers need support as well and AnglicareSA can provide advocacy and referral, emergency and short term respite and carer wellbeing and educational opportunities through group, major event and personalised wellbeing activities. Developmental education, occupational therapy and speech pathology for adults with a range of support needs. Our therapists can come to your home, or a place that suits you. AnglicareSA is committed to supporting you through the NDIS changes. 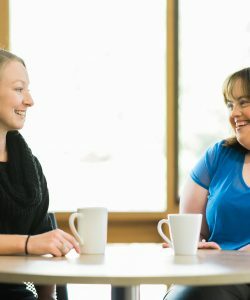 Our NDIS experts are available to meet with you to discuss an individualised package of support based on our range of services that caters for you and your specific needs and goals. AnglicareSA invites you to join us for a free pre-planning session where we’ll talk with you about your life, goals, what you want to do, and how you would like to receive support. If you would like to access this free service please contact our NDIS Customer Service team on 1800 953 001 or email [email protected].